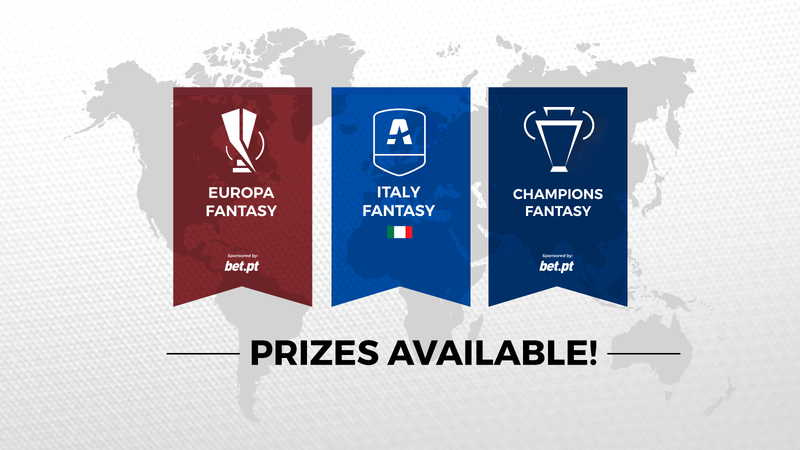 Here they are, the prizes for Champions, Europa and Italy Fantasy! After we’ve announced the Spain Fantasy prizes, in which we unveiled our partnership with BBox Sports (you can now more about it here), it’s for Champions Fantasy, Europa Fantasy and Italy Fantasy to follow the footsteps. We have prizes for every GameWeek, for both stages of the competition, and once again for the overall winners… all this with BBox Sports quality. For Champions Fantasy, the most renowned and played of the three, there will be three winners per GameWeek, five winners for both the Group Stage and the Knockout Stage and the 20 best managers of the season will get the final prizes. Lots of jerseys, both official and from RealFevr, autographed memorabilia and double tickets for football matches, with trip included, are some of the prizes you can win if you create your team here. The other European competition, Europa Fantasy, has similar prizes, though in smaller number. There will be prizes for each GameWeek winner, for the five best in the Group Stage and in the Knockout Stage and for the 10 best in the final standings. If you haven’t create your Europa Fantasy team yet, do it here for a chance to win some prizes and to test out our new scoring system, exclusive to this competition. The last one, Italy Fantasy, a new competition at RealFevr, will also have prizes for every GameWeek. Besides, the 3 best every month, the 5 best of each half of the season and the 10 best at the end of the season will also win amazing prizes. Don’t waste more time, create your team now.